Staff Prabatani, founder of Storemates.co.uk - the ethical storage sharing site, shares his tips on how to prepare your home for a swap. Let's face it, whether big or bijou, most homes on Love Home Swap are enviably gorgeous, but the ones that really stand out have one thing in common - they are completely clutter free. They look homely, spacious, and serene without seeming soulless. 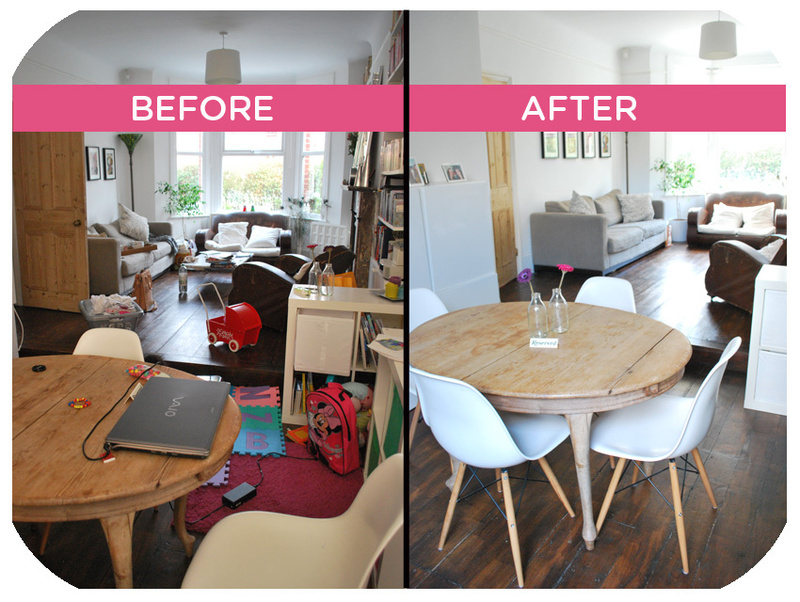 After taking the plunge and signing up to this great site, I asked myself; "How do I transform my very 'lived in' family home to one of fabulous five star desirability." If you take a few pictures of your humble abode as it is right now from the angles you are likely to use on your profile listing you'll soon start to see your home through the eyes of your viewer. Be warned this can be a scary experience, especially if you have children. All those curious and misplaced objects will pop up on your camera screen like screaming sore thumbs. That's clutter. Once you decide to declutter, tackle one room at a time and don't flit around from one room to another as you will soon turn your whole house upside down and the task will feel impossible. It will take focus and some determination! 3. Three piles to happiness. A big clutter feeder is items that find themselves in the wrong places in your home because they have been temporarily 'put there'. The rule here is be logical and store like-for-like items together. Finally once you have sifted through everything and decided what you will keep, you will uncover a large number of belongings that you need but only have a seasonal use for (e.g Christmas decorations). If you don't want to spend the cripplingly expensive costs of self-storage, you can use the cheaper, greener community alternative to self storage, Storemates.co.uk.